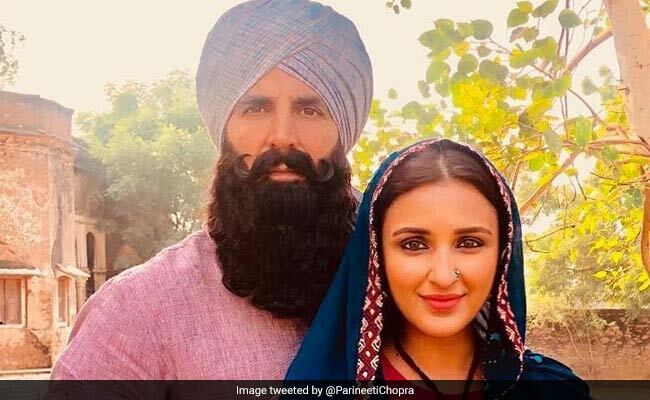 It's a wrap for Akshay Kumar and Parineeti Chopra's upcoming film Kesari. The 30-year-old actress, who stars opposite Akshay Kumar for the first time, shared her first look from the film on Monday along with a note for the film's team. Kesari is produced by Karan Johar's Dharma Productions and directed by Anurag Singh and here's how Parineeti thanked Team Kesari for the "experience": "Anytime I watched a war movie, it was the love story of those brave men that kept me going... so proud to be a part of this epic experience! Thank you Akshay sir, KJo and Anurag sir, for allowing me to be a part of your vision. You all have made one of the most beautiful movies people will ever see! 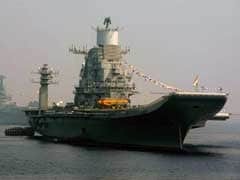 People - don't miss it on March 21, 2019." The war drama is a fictionalised representation of the epic Battle of Saragarhi fought in 1897 when 21 Sikh soldiers of the British Indian Army fought 10,000 Afghan invaders. "The bravest battle ever fought," Akshay had earlier described the film's subject and now, he added: "And it's a wrap for Kesari... a film which swells up my chest with immense pride. See you in cinemas on 21st March, 2019." The final schedule of the film was shot in Jaipur. This year, on Saragarhi Day on September 12, Akshay had released his first look with a brand new poster and said: "Today we remember the heroes! Circa 1897. 21 Sikhs vs 10,000 Afghans." Parineeti Chopra's tweet that she's "proud" to be part of Kesariis an echo of what she had told news agency IANS earlier about working with Akshay Kumar: "I really wanted to work with Akshay sir from a really long time. I think this is the perfect film because he is Punjabi and he feels for the subject that the movie is based on. It's going to be a mammoth film, so I am very excited to start shooting of Kesari." Directed by Anurag Singh, Kesari is all set to hit screens on March 21 next year.